There are times when standing on the sidelines is just as much fun as playing the game. 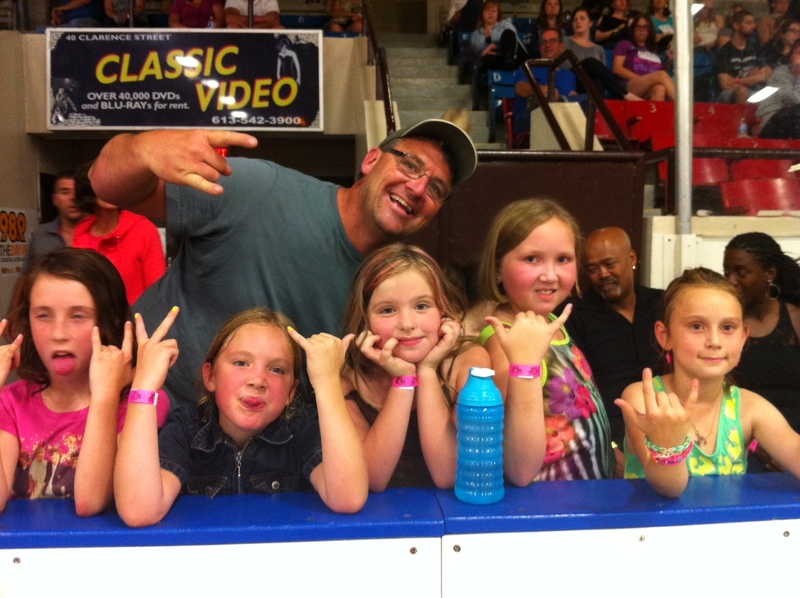 Last night for Clare’s birthday, we took her and four of her friends to the Kingston Derby Girls end of season match. I’ve never been to the roller derby before. It was a riot. They billed it as The Best. The Most. 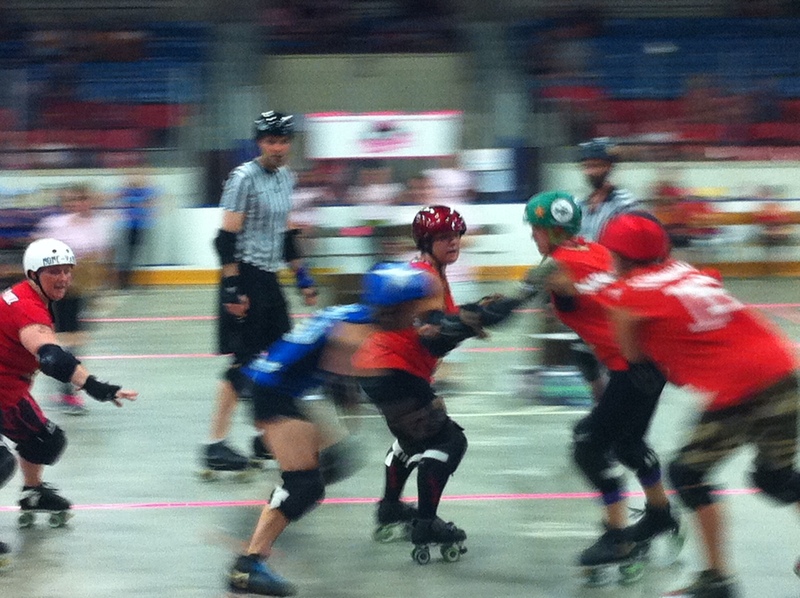 The GREATEST night of roller derby in Kingston–the fifth anniversary of Back to Cruel, when it all began. It took us a bit to pick up the game and figure out the Jammers were the girls with the stars on their helmet and they got a point every time they passed members of the other team. It was a double header, the Kingston Disloyalists versus the London Timber Rollers followed by a hometown match of the Rogue Warriors versus The Skateful Dead. Our favourite skaters were Manic Breeze, Sewciopath and Banger Management. I don’t know what was more fun, watching the crowd (which by the way included everyone from two-year olds with their parents, to a bunch of Queen’s students making beer statues on the sidelines to people in their sixties and seventies), or following the action on the rink, but it was rockin’. This week’s Happy Act is to cheer from the stands. Get lost in the game, cheer loudly for your favourite team and have fun. Here are some more pictures of last night’s action. 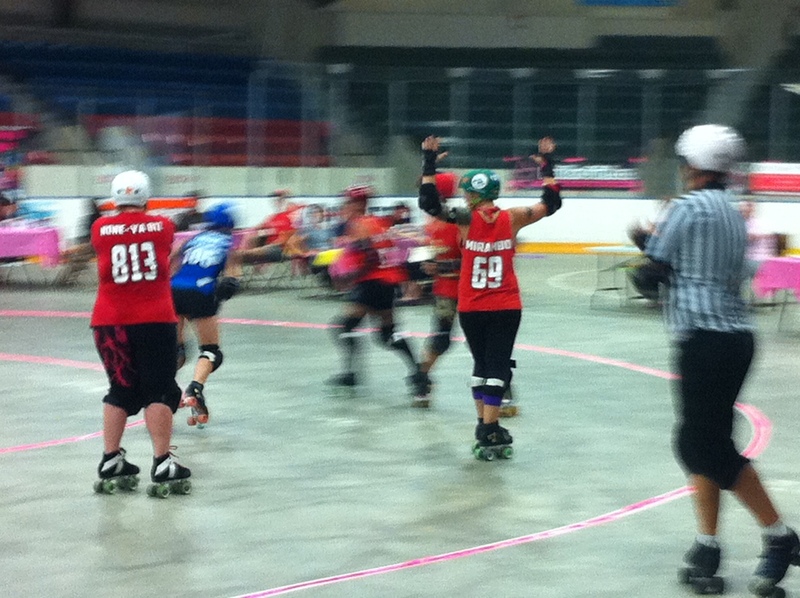 Become a fan—like the Kingston Derby Girls on Facebook. You are the second person I know that has went to the Roller Derby and said watching the crowd is just as much fun (possibly even more fun) than watching the game. Forgot to mention too the best part is kids under 8 are free!